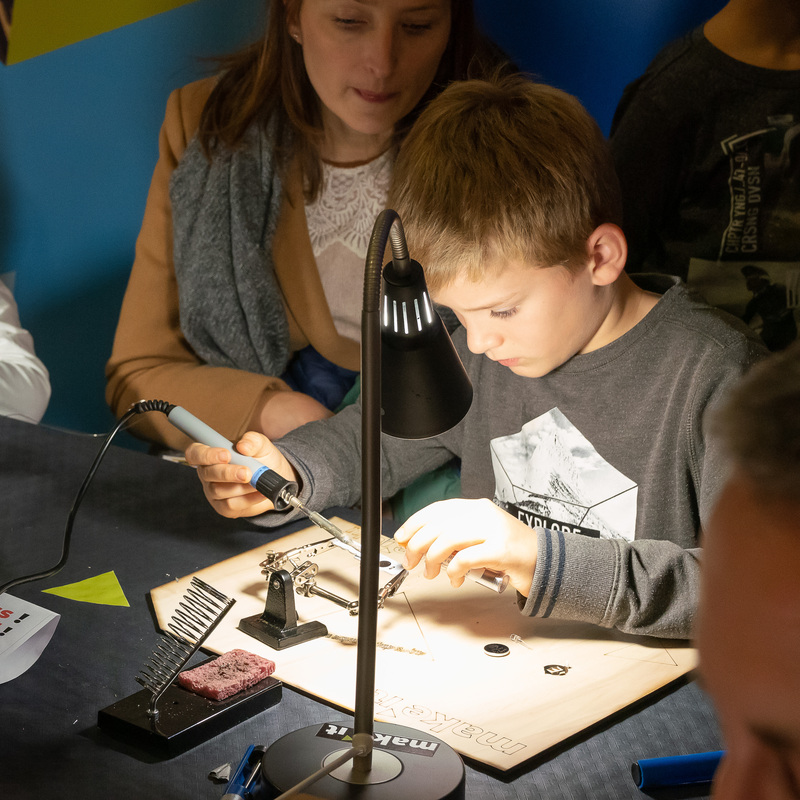 Make it was assigned the mission to support the local schools in finding a team for Luxembourg to enroll in the FIRST Global Robotic Championships, which takes place in a different nation every year. 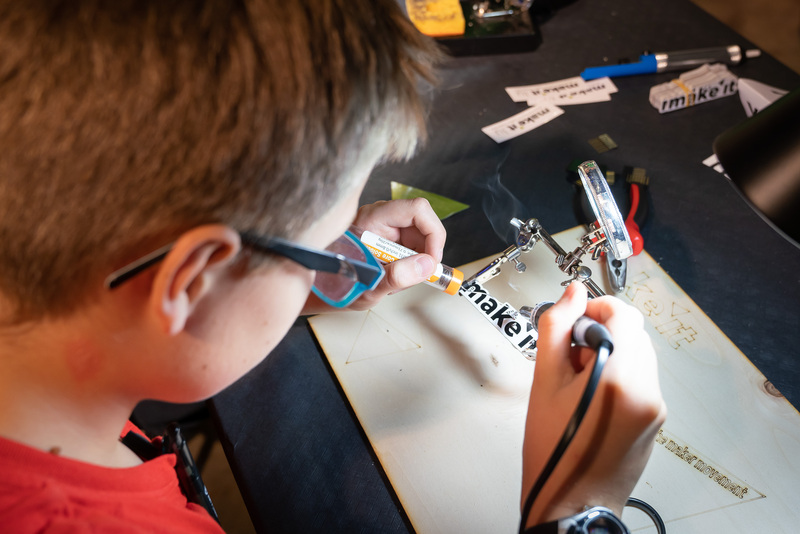 In Summer 2018, Make it accompanied and mentored 3 young talents at the FIRST Global China competition, the World Adolescent Robotics Championships (WARC). Check our YouTube channel below for more details on the competition. On the right side is a list of enrolled teams for the LYRC competition. 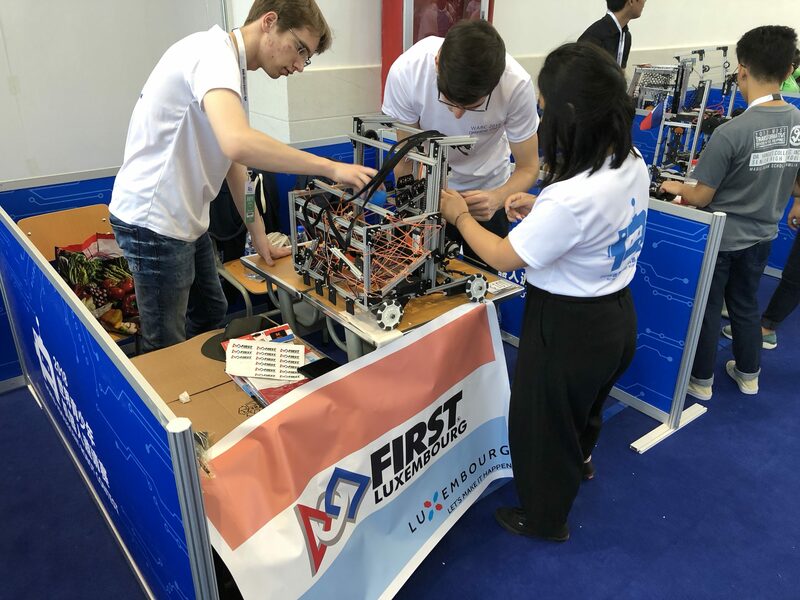 Main goal of the competition is to perform at your best in order to get selected for Team Luxembourg to participate in the FIRST Global Robotic Championships in Dubai this coming October. Selections are made individually, so winning LYRC is not a direct ticket to the FIRST Global competition. Are you passionate about technology like robots or coding? Do you like a cool challenge? 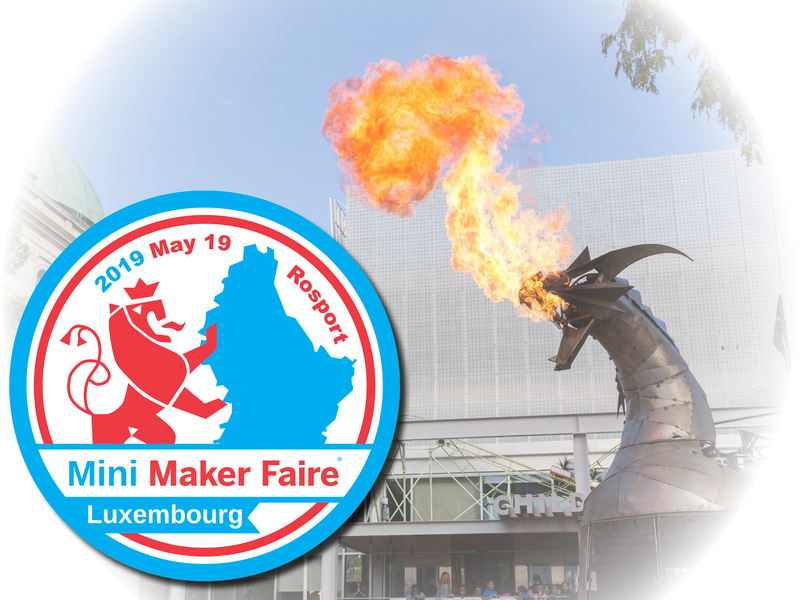 Then come and check out the LYRC competition on May 19th, 2019 at Mini Maker Faire Luxembourg! During this competition, several teams will try to find effective solutions for real problems. 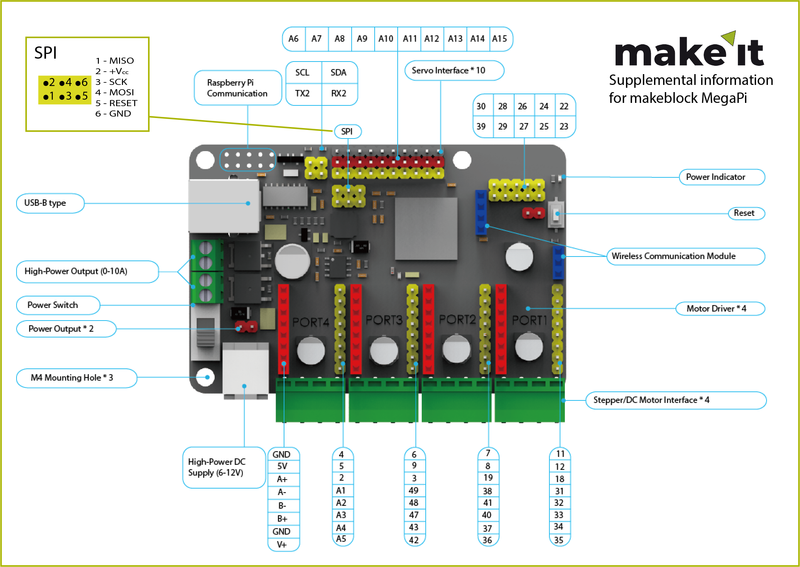 For the FIRST Global competition in October, all expenses will be paid for by Make it, so there won’t be any excessive budget requests later on. Travel costs, accomodation as well as registration fees will be covered. Concerning the LYRC tournament, the robotics kit will also be furnished by our non profit. All you have to do is create something great. No preconditions or previous knowledge are necessary to enroll in this competition. Parents wanting to accompany their children are also welcome, but will have to pay for their travel and accomodation costs themselves. Our non profit consists of pedagogical experts with over 20 years of experience with youngsters. You can download all necessary information concerning the LYRC competition here on the right. Please note that some documents can still be DRAFT versions. If that is the case, please check regularly on this website to get access to the final versions. Some tips and hints to build your robot more…efficiently. Here are the downloadable papers for the LYRC competition. For more information, please contact us directly. RFID reader : The reader is allowed to be soldered, this is not considered to be an violation of rules. In order to indentify the RFID tag belonging to your team, here are some information about the tag and the data you should scan for. The tags being used are standard MIFARE 1k stickers, which will be taped (outside) to each of the blocks to collect. As the card already contains data, the ID you should look for will be on block 4. It will be a chunck of 16 bytes filled with your team number. To the left, there’s a transcript of the program used to fill the cards. If you want to see how this was done, we used the Arduino RFC522 demo program “ReadWrite” and modified the block cotent (dataBlock) to get the numbers in. As you can see, our example here left shows the RFID tag for team 7. The whole block 4 is filled with “7” . As we will be visiting the teams starting from April 23rd on, we will give each team a pair (2) of RFID tags already programmed to contain their team number. As such, you can use these tags to experiment for your run to LYRC.